As an intern at Cloudbakers during winter break, I interacted with some of technologies’ best and brightest, while using cloud solutions effectively in the business world. Any client looking to improve their current business, by implementing premier cloud technology coupled with an intelligent staff, should talk to a company which has innovative, reputable, courteous, and prompt ingrained in their company DNA; all necessary traits to be effective in the 21st century technologically driven culture. 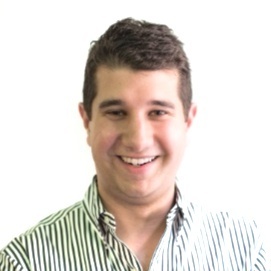 With my experience outside of the technical arena, the opportunity provided time to interact with programmers, to provide exceptional customer experiences and address concerns on a consistent basis, while reaching customers from a variety of industries to make life easier with the use of innovative solutions. Mentioned on the website, “At Cloudbakers, we are all about two things, our clients and our people. We are a team and work with you the way you need us to. A flexible and fun work environment lets our work shine as much as our personalities do. We bring our culture to your workplace and assimilate with your current employees to ensure that we understand our user group, and work with your business appropriately.” As an intern for a company with these traits, even for just a short time, I affirm that the above quote is true. Products sold and available support can enhance the customer experience and make it easier to conduct business from any corner of the globe. Having the distinct opportunity to work in their culture was outstanding; and, if you are currently not using Cloud Solution products, you’re inevitably going to fall behind. If you’re ready to take the step to implement the world’s most exciting technology, consider working with a team that is committed to enhancing the mission of your company. Send us your 2014 work resolutions by commenting below or tweeting us @cloudbakers. 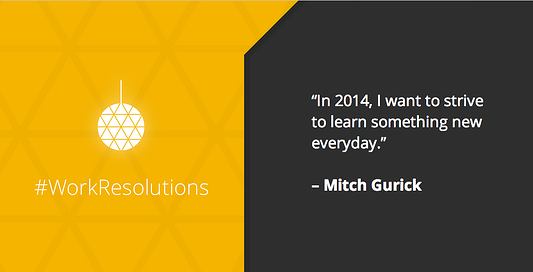 Author Bio: Mitch interned for Cloudbakers during 2013 & 2014. Since then, he's worked with Apple, JPMorgan Chase, and most recently, Google.